This post originally appeared in Government Technology. One of the defining traits of open data is that it is freely available to the public without any restrictions. In short, open data must be…open. However, in March 2016, a committee in the California state legislature approved Assembly Bill 2880 (AB 2880), which would grant the state and local governments the ability to apply intellectual property restrictions to all government materials. While supporters of the bill ostensibly intended AB 2880 to prevent potential intellectual property copyright disputes with contractors, in effect the legislation could make everything a public entity creates, such as reports, maps, and of course, data, subject to copyright protections that would restrict the public’s ability to access and use this material. Fortunately, the California Senate recently struck those provisions from the bill, but had it not, open data would have been dealt a serious blow in California. Regardless, that any legislation would propose establishing such authority indicates that there is still a long way to go to ensure that policymakers recognize the importance of open government data. Federal copyright law explicitly states that works of the federal government are not eligible for copyright protection, and for good reason—tax dollars fund the government’s activities, and taxpayers should be able to use and benefit from any data generated by these activities. However, the federal Copyright Act does not apply to state and local governments, which is why California lawmakers were free to consider AB 2880. Restricting how taxpayers can use public data is, at best, double-dipping—charging taxpayers for something they have already paid for—and, at worst, an attack on open and accountable government. For example, AB 2880 would have allowed a government agency to claim intellectual property protections on data revealing fraudulent or wasteful spending, and though the California Public Records Act would prevent the agency from withholding this data if someone requested it, the agency would be able restrict how that information is shared or displayed. Open data is still a relatively new concept in government, and robust open data policies were only officially defined at the federal level in 2013. On the local and state levels, the vast majority of open data policies have only come into existence in the past five years. However, that open data is still in its nascent stages of development is all the more reason to strongly push back against policies that could threaten its future. This is particularly necessary for California, which has demonstrated a series of missteps that show open data is on shaky ground. For example, though some California state government agencies publish open data, and some municipal governments have their own open data policies, the State Assembly in September 2015 failed to pass legislation that would have established California’s first statewide open data policy and thereby clearly establish that government data was a public resource. And in 2013, the California Supreme Court had to rule that publicly funded geographical information system (GIS) data qualified as public records after the Orange County government tried to charge businesses and members of the public $375,000 licensing fees to access this data. In effect, AB 2880 would have allowed all state agencies to do what Orange County tried to do with its GIS data. 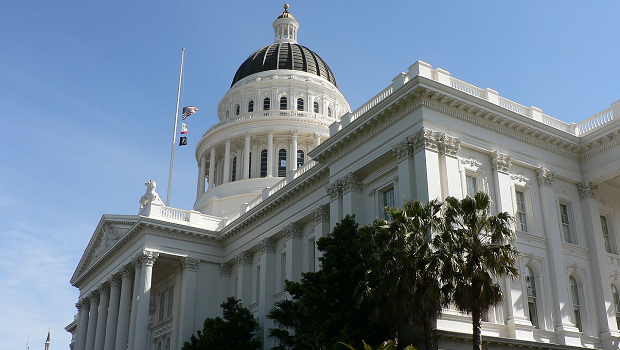 As more and more governments recognize the value of open data and adopt sound open data policies that ensure open data is truly “open,” the potential for AB 2880-style legislation cropping up elsewhere may decrease. However, only a small fraction of U.S. city, county, and state governments have open data policies today, and though the number is growing fast, it is likely that some lawmakers will again fail to recognize that government data is a public resource and attempt to restrict public access. When they do, open data advocates, the private sector, other policymakers, and the public as a whole should firmly resist.